Why is the universe the way it is? Ancient societies the world over told creation stories to answer that question, which seems to be as old as human civilization itself. Millennia later, the urge to understand the integrated whole of reality, and humans’ place in it, remains undiminished. 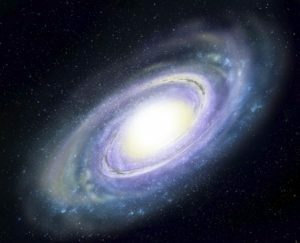 Indeed, in some respects the universe turns out to be far more vast and astonishing than our ancestors imagined — making questions of its origins and structure even more compelling areas for investigation. Exploring these kinds of big questions is a central aim of the John Templeton Foundation, so we support a number of projects in the field of cosmology that are advancing human understanding of the universe. As a science, cosmology deals with space and time on so large a scale as to challenge human comprehension. Although human beings have practiced astronomy — the study of the stars — for thousands of years, the modern era in cosmology did not truly begin until October 1923, when Edwin Hubble discovered that the M31 “nebula” was actually a galaxy in its own right, millions of light-years away. As improving telescope technology has let us peer farther into space, we have also been able to peer farther back in time, as deep into cosmic history as physics will presently permit. During the last few decades, observations have taken us to the limit of light, the relic afterglow of the Big Bang, which cosmologists believe spawned our universe some 13.8 billion years ago. That afterglow, the cosmic microwave background (CMB), is the ubiquitous radiation in the universe that was generated approximately 378,000 years after the Big Bang, at a point when the universe had cooled sufficiently to allow the passage of light through space. And a Templeton-funded project is now studying that faint glow, parsing it for information about conditions in the primordial universe. 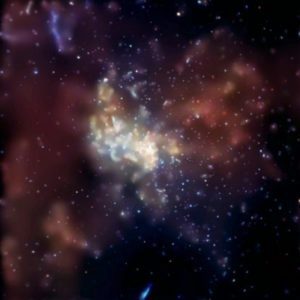 The project’s lead investigator, Adrian Lee, along with his colleagues from the University of California at Berkeley, have developed new sensors to study the CMB, which is “contaminated” by local light from our own galaxy. By subtracting the light pollution from the signal, scientists hope to comb the CMB for signatures potentially caused by “inflation” — a period of exponential expansion that may have happened very early in the history of the infant universe. If inflation could be confirmed, that would resolve significant problems in the current framework of the Big Bang, which in many other respects has given humankind its best explanation yet for why the universe has the features we observe. Another Templeton-funded project centered on the CMB, however, is exploring a radical alternative to inflation. Among other things, inflation is invoked as a way of explaining the uniformity of the CMB across space. But there is potentially another way of explaining this phenomenon that, for most astrophysicists, challenges a deep conviction about the nature of physics: What if the explanation for the special features of the CMB is not the irregular behavior of gravity in the universe’s earliest moment, but rather a changing speed of light through the universe’s history? The apparent constancy of the speed of light — 186,282 miles per second — has been confirmed through countless experiments as one of the constants of nature. Light’s speed is baked into all of the highly successful theories of physics. But questioning the status quo is how cosmology, and indeed all of science, has often advanced. João Magueijo, the project’s leader and a professor of physics at Imperial College London, is working with colleagues to develop plausible cosmological models based on an inconstant speed of light near the dawn of the universe. The efforts are further zeroing in on possibly detectable signals of light’s variable speed from the CMB, suggesting ways that this unorthodox view might need more serious consideration. Such novel approaches, even to humanity’s oldest questions, are the hallmarks of science — and a tradition that the Templeton Foundation aims to promote. Princeton University’s Christopher Tully leads another project of this kind. He and his team are pioneering an experiment known as PTOLEMY that goes beyond the limitations imposed by observations of light to understand the earliest moments of the universe’s unfolding. Tully aims to capture the signatures of ghostly particles, known as neutrinos, that were emitted during the universe’s earliest moments — a mere one second after the Big Bang. Unlike light, which remained trapped in a hot stew of matter and energy, neutrinos barely interact with the rest of the universe’s contents. Low-energy neutrinos, theoretically produced by the Big Bang in great abundance, should therefore still be out there for the taking: a cosmic neutrino background. Detecting these “relic neutrinos” might provide us with a way of more deeply probing the earliest moments of our universe. Templeton funds have helped launch a proof-of-concept experiment at Princeton, using a rare form of hydrogen that may be used to build a detector sensitive to the Big Bang’s relic neutrinos. If successful, a powerful new method for understanding the universe’s grand form will be in our collective grasp. “We humans are very good at reverse-engineering how we arrived here. We know the mechanics of what must have happened,” Tully says, though he admits scientists still struggle with a fundamental question: Why? We’ve made incredible progress since Hubble pointed his telescope toward the skies, but that big question — why — demands that humans remain curious, taking scientific chances in order to inch closer toward an understanding of our ultimate reality.